Sometimes, you have to put things into perspective, in order to make a point. 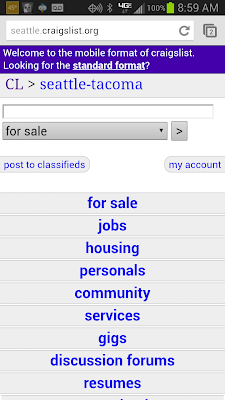 This is a screen shot of Craigslist, on my PC. 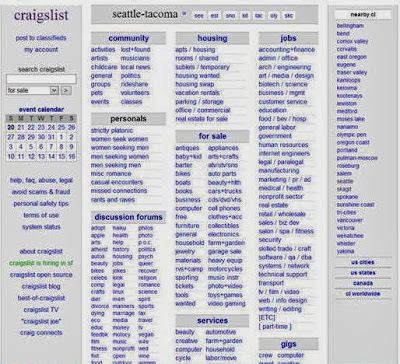 As you can see, there's an awful lot to click on, isn't there? 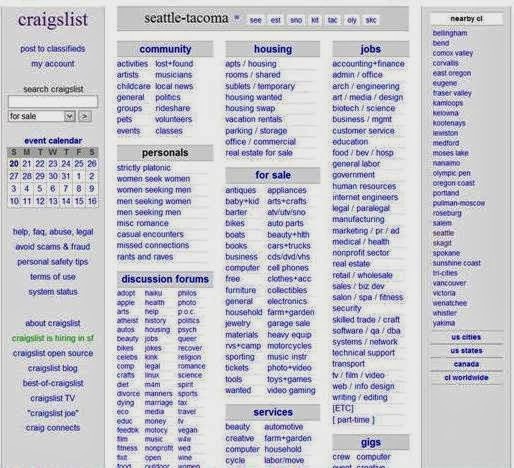 Now, I get it, your website doesn't look like Craigslist. Your website is professional, polished, beautiful (and maybe converts at a far lower rate than it could, but that's a topic for another day). 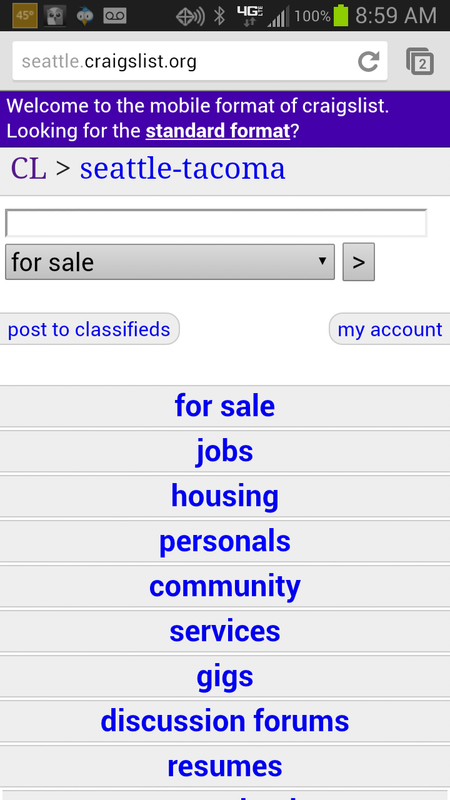 Let's take a look at what the same website looks like on my Android phone. Some will argue that "the customer wins" when you simplify presentation and choices. I've analyzed an awful lot of data in the past twenty-five years - there's one consistent theme - the more you present, the more you sell. In catalog marketing, the costs are prohibitive, causing one to eventually reduce pages to increase profit. In digital, the costs are essentially zero. When you reduce choices, you reduce how much a customer spends. Tomorrow, we'll look at Gap - comparing the website to the mobile experience. The shift in customer behavior to mobile requires a different presentation mindset, something we haven't had to worry about for a half generation. My Merchandise Forensics work suggests we have not figured out how to generate demand in a mobile environment. We need to cooperate with each and everyone in the business to ensure that we keep ourselves knowledgeable of what could help us in our Property Investment Mackay. Be active and always support our agents in what they want to do to secure our success in the business. It is important that we benefit of our investment and we can learn new things that will help us prosper in the future.